Poor Badfinger; if ever there was a pop group “born under a bad sign” it was them. Things started off quite auspiciously. As The Iveys they signed to The Beatles’ Apple Records and had a hit single. However, they decided that their name, and their image were a little old-fashioned and for reasons that remain obscure, their guitarist left. Exit Ron Griffiths and enter Joey Molland. Badfinger was born. They had hit singles with the Paul-McCartney-penned Come and Get It (recorded just as Griffiths was leaving the band) and No Matter What, and perhaps their greatest moment was when Harry Nilsson had a massive worldwide hit with their song Without You in 1972. After that it was all downhill. And downhill very very fast. The band were the last non-Beatles artists to release an album on Apple, and a move to Warner Brothers was not a success. There were grave management issues (which were so contentious that even now it is probably not safe to put in writing) and – probably as a result of these internal pressures – two members of the band (Pete Ham in 1975 and Tom Evans in 1983) committed suicide by hanging. Joey Molland, who had written the vast majority of the group’s later output, remains an immensely under-rated and very talented songwriter whose career has been blighted by the appalling catalogue of disasters that had overtaken his band. He put out a string of massively under-rated solo albums including this one from 2001, which was originally independently released. Originally from Liverpool, Molland now lives in America where he continues to write and perform some beautiful music. Let’s hope, with the re-release of this fantastic record, that his star is finally in the ascendant. If so, then there really is some justice in the universe. I quite likes his last album, “Return To Memphis”, saying that “take on classic rock meets Memphis soul had its moments”, and off the back of that release, he’s had a root around in his cupboard, and come up with a reissue and some old tapes. “This Way Up” is actually very enjoyable, and it’s one that a lot of Badfinger fans would relate to. If they missed it when it came out in 2001, they should do themselves a favour and catch up with some excellent tuneage such as ‘Happy’, the very Beatlesbandey ‘This Must Be Love’ and the fabulous closer ‘Isn’t That a Dream’. Seriously, it’s good. “Demos Old And New”, however, is a different beast, and one for those who have to have absolutely everything. With songs from the seventies, eighties and nineties, it ranges all over the place in genre, quality and sound. But stick with “This Way Up” , and you’ll be fine. The bad boy of Badfinger re-releases a hard to find gem! Badfinger was a band that was somewhat haunted by misfortune, it happens. Joe Molland has recently released the critically acclaimed Return To Memphis. Going deeper into the vault the long appreciated and even harder to locate This Way Up from 2002 is now being made available. Some of questioned the strength of Molland's voice and while time takes a toll on any vocalist, I call this character. The release itself includes the smoker "Three Minute Warning" and "Moonlight" which highlights the long forgotten if not ignored versatility of the Badfinger legend. Badfinger fans should flock to this release and those that like their rock to go just a little deeper than what you are force fed on what is left of commercial radio should give this a shot as well. Badfinger may have been a rock and roll casualty but Joe Molland is a survivor! Tracks: Mirrors; Happy; A Way To Be; The Bust; This Must Be Love; Moonlight; Another Honeymoon; When I Was A Boy; Angels Like Us; What Else; Tell Me; Three Minute Warning; Isn't That A Dream. On the occasion of the release of the new album ofJoey Molland , " Return to Memphis " , which also meets a great success, Gonzo Multimedia label put on the market two other albums of the last survivor of the group Badfinger . One is a compilation of unreleased tracks and studio outtakes from various periods and the other is that "This way up" , album released in 2001 and was without a successor until the release of "Return to Memphis" . At the time, Joey Molland is involved in his solo career, which he opened in 1983 following the separation of Badfinger, or rather his lack of combatants failed because the group once protected the Beatles and their label Apple has lost its second member by suicide,Tom Evans , who joined in death Pete Ham , who died in 1975 Alone, Joey Molland fate Albums "After the pearl" (1983), "The Pilgrim" (1992) "Basil" (1998) and "This way up" (2001). 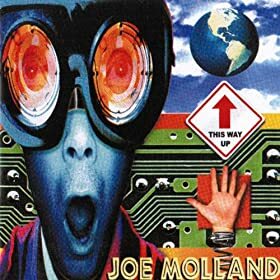 we had the opportunity to speak well of the album "Return to Memphis" in a previous column, but when listening to "This way up" ( where he calls himself Joe Molland), we understand why Joey Molland took some time to find a successor. Indeed, one can say that "This way up" is a great album that could not be surpassed soon after its release. Joey Molland includes thirteen songs spotless, made ​​a smooth and efficient power pop, grabbing the ear the first time.The moods are varied and go with ease enthusiasm ( "Mirrors" ) to melancholy ("Moonlight" ), with rock twists that boost machine just when to ( "Three minutes warning" ). On "When I was a boy" , words that remind one inevitably mark the"She Said, she Said" by the Beatles ( "when I Was a boy, everything was brighter" ). And it is true that in addition to the link between the Beatles Badfinger, many things in this album redolent the soaring pop of Wings or George Harrison. Fans of well-crafted power pop can carefree indulge in this beautiful What surprise "This time up" , a flawless album, except the cover, just awful. But a record is made ​​to be listened to, not watched. We have already said in a previous chronicle the success of Return To Memphis last job Joey Molland sparked an increased interest in the work of formerBadfinger which led to Gonzo Multimediaediting at a stroke, two historical documents: Demos Old And New, on which attention is focused since the reissue of 2001 album, This Way Up , in height as Joe Molland . This Way Up features a set of topics within the spectrumrock soft, naturally with references to Badfinger and the Beatles . Guitarssoft , calm melodies and frequent use of the mark the rhythmic acoustic guitar rhythms. And in 2001 the album was well received, it now seems a little more difficult because these songs appear too dated and not have that aura of immortality. There are of course some good moments. Incidentally, neither could it be otherwise, given the relative success at the time. For example, the low work in superb The Bust ; achieved with a great melodyThis Must Be Love ; soil bluesy in Moonlight ; rhythms in the piano cabaret ofAnother Honeymoon ; the grand finale guitar work on What Else (Nothing) - interestingly one of the most monotonous themes of the disc; and especially the rhythms rock 'n' roll of Three Minute Warning . As can be seen, it is almost generally, detail included in the songs and not all the topics. So, This Way Up turns out to be a hard something repetitive that at any time it appears that will explode, jump to the level of immortality ... but never can. 13. Isn’t That A Dream? Now this is more like it (check out the Demos Old And New review elsewhere for details...); This Way Up an excellent reissue of the 2001 album from the onetime Badfinger man Joey Molland. It finds him in fine form. Renowned for his early session work with the Beatles, no less, there have been claims that This Way Up rivals any of the solo efforts from the members of that revered outfit. That's a bold claim and one this album could never live up to. However that doesn't stop This Way Up being a considered collection of tracks that could, in style, happily sit somewhere on albums by Harrison, Lennon or McCartney. From that you'll have no doubt that we're in the realms of classy rock with hooks, poignancy and melody. Indeed the likes of "This Must Be Love" could have, with the right exposure, been a chart hit; a gentle Lennon like lilt and considered vocal offering a fine balance between heartfelt emotion, pop hooks and melancholy. While "When I Was A Boy" has more Harrison about it, a slightly edgier feel still revelling in an easy pace and jaunty outlook. As with all of the songs on this album, a sing along chorus is also guaranteed. By modern standards there's little doubt that the area within which Molland works is tame in the extreme and yet for listeners of a certain age (and those with interest in more than the "current" scene) the gentle sway and fragile vocal of "What Else (Nothing)", the rock n' roll sway of "Three Minute Warning" and jangly good times of "A Way To Be" will bring a smile to face. 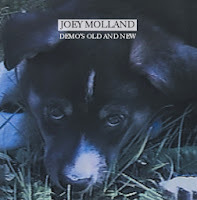 The advice in my review for Demos Old And New is that it is for dedicated Joey Molland fans only. However with This Way Up I'd suggest the opposite is true. This is solo Molland near his best and there are many songs here that will appeal to those whose memories hark back to simpler, less genre defined days. Fans of Joey Molland and Badfinger will enjoy this album hugely, as will those of the Beatles and their offshoots. Or indeed those simply with a penchant for straight ahead vintage rock with pop sensibilities. 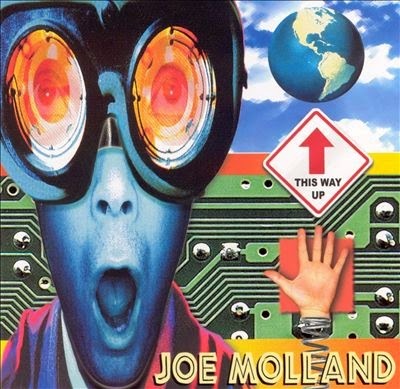 Joey Molland occurs on this production from 2001 as Joe on. Taken was this - his third - solo album in Minneapolis and now published again. Already at that time not appreciated by many buyers, it is probably now more likely to attract the fans. This album of professionals has been recognized as a masterpiece and actually compared to the early solo works of the former Beatles . Such advance influenced, I will try to find my own way to this board. The first issue I had been hereadopted. One of the criticisms concerned the good in Your old, slightly brittle sounding voice. Now, in 2001 sounded Molland still fresh. Yes, and this vitality relates to the music. A little reminds me of it in whole at some of what George Harrison after the demise of the Beatleshad published - and after those plates the seventies and eighties. That is, Molland strong swims in the waters of yesteryear. Here he seems to feel right at home. He and his band present knotless pop music with heavy rock character and it brings joy to listen to the melodious sound rich guitars, as it quite admirably succeeded, for example, on "Happy". The character of many catchy songs falls on pleasant. A little buzzing me as well as comparison Tom Petty around in my head and in "This Must Be Love" and one or the other song, it is even John Lennon , who comes to mind. Unbelievable: In "Moonlight" I think immediately of Paul McCartney ! So I am going through on my warrior hear a collection of well-composed songs, which are of high quality. The protagonist is further demonstrated as an elegant and accomplished guitarist with a very beautiful solo slots. It is incomprehensible to me so far, why this record is not struck like a bomb in 2001. From the context of the dry drying title "Three Minute Warning", who is also the band falls Rockpilehad and their individual contributors confessed to shame. Finally, it is then again very atmospheric with a strong romantic melancholy orientation. In addition, all texts are included in the booklet, so they still act as rounding a really good and unfortunately forgotten Popscheibe with Rockappeal. Who has the time failed to buy this record, which I recommend to anyone / everyone with a turn to the music of the Beatles to purchase this disc now quickly, before it disappears from the market. Former BADFINGER looks at the bright side of life. Why there’s no “y” in this artist’s name on the cover of his third solo album remains a mystery; perhaps, it was an attempt to show his personal growth. But, given a 9-year cycle of Joey Molland’s records – and it would take him even longer to deliver a follow-up to “This Way Up” – BADFINGER fans don’t care about the spelling: it’s music that matters. And although the 13 songs here follow the classic pop-rock tradition their writer’s a master of, they somehow don’t cut it. Building on three demos from 1995, Molland gets things going with the piano-propelled “Mirrors” and signs off with the ballad of “Isn’t That A Dream,” running mostly in an upbeat tempo in between. But while “2 Minute Warning” kicks up the boogie roll, “What Else (Nothing)” taps into triteness over more than 5 minutes to be saved only by its cosmic ring. Still, “Moonlight” comes in a romantic orchestral coating, which spills into the dewy-eyed drama of “When I Was A Boy,” and the twangy vibrancy of “The Bust” is deliciously anthemic. Enough for the optimistic message of the album’s title, if not enough for a total uplift. JOE MOLLAND - This Way Up JOE MOLLAND - This Way Up Former BADFINGER looks at the bright side of life. Why there’s no “y” in this artist’s name on the cover of his third solo album remains a mystery; perhaps, it was an attempt to show his personal growth. But, given a 9-year cycle of Joey Molland’s records – and it would take him even longer to deliver a follow-up to “This Way Up” – BADFINGER fans don’t care about the spelling: it’s music that matters. And although the 13 songs here follow the classic pop-rock tradition their writer’s a master of, they somehow don’t cut it. Building on three demos from 1995, Molland gets things going with the piano-propelled “Mirrors” and signs off with the ballad of “Isn’t That A Dream,” running mostly in an upbeat tempo in between. But while “2 Minute Warning” kicks up the boogie roll, “What Else (Nothing)” taps into triteness over more than 5 minutes to be saved only by its cosmic ring. Still, “Moonlight” comes in a romantic orchestral coating, which spills into the dewy-eyed drama of “When I Was A Boy,” and the twangy vibrancy of “The Bust” is deliciously anthemic. Enough for the optimistic message of the album’s title, if not enough for a total uplift.